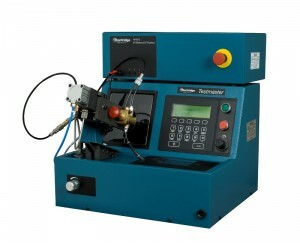 The HH705 EUI Poptest provides a means for service workshops and garages to carry out functionality testing of new, repaired and remanufactured EUI’s, checking for leaks, spray pattern, spring rate, solenoid operation and nozzle opening pressure (NOP) in addition to all testing offered by the Testmaster 3. The HH701 Testmaster 3 can be upgraded to HH705 by returning the testmaster to the point of origin to have an HK862 fitted. For more information contact your distributor.